Sign up to get info about the internet-wide day of action to save Net Neutrality. Together we can safeguard internet freedom. 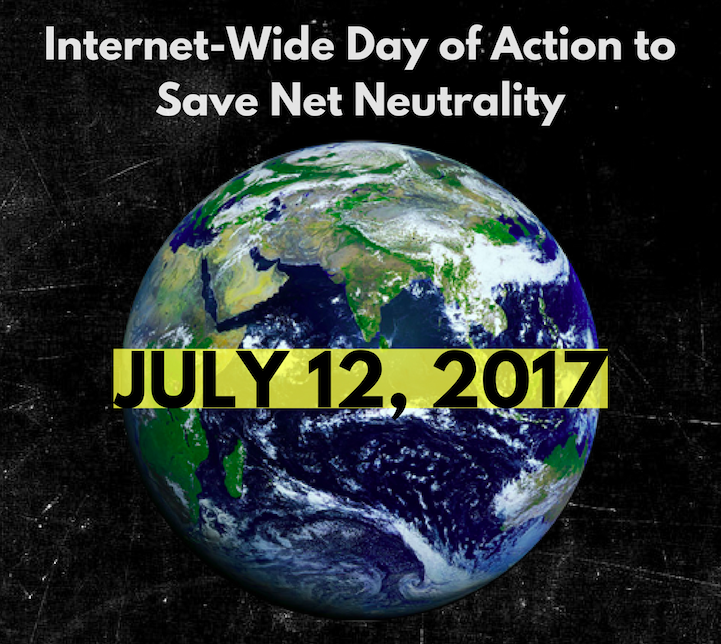 On July 12 the internet will come together to protect Net Neutrality. Sign up for more details. The Federal Communications Commission’s Net Neutrality rules keep the internet free and open — enabling anyone to share and access information of their choosing without interference from companies like AT&T, Comcast and Verizon. Net Neutrality is essential to education, economic opportunity, social movements and dissent. For over 10 years, people worked alongside public-interest organizations, civil rights groups, entrepreneurs and small-business owners to put Net Neutrality protections in place. In 2015, the fight for internet freedom ended in victory when the FCC reclassified broadband providers under Title II of the Communications Act, creating the legal foundation for real Net Neutrality. But now the Trump administration, FCC Chairman Ajit Pai and the corporations backing them are doing all they can to reverse the historic Net Neutrality win. They’re about to find out the hard way what happens if you mess with the internet.